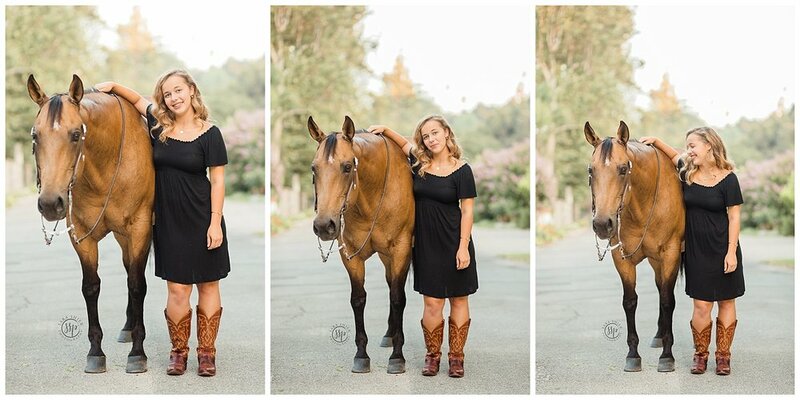 If taking pictures with your horse for your birthday isn’t the best present ever I don’t know what is! Claire and her mom Karrie had been so in love with my black backgrounds they wanted me out for a day of photo fun at their house in La Canada! My Oma lives in La Cresenta so I knew the homes in the area were beyond stunning! Walking through the streets, I wanted to go door to door claiming “I’m up for adoption.” I definitely wanted to utilize the architecture of the streets around the homes without having HOUSES as the backdrop. I so dug the vibe of the photos because of it! So get this Zippy was brought into this world by a rancher while she was working in AUSTRALIA! When she decided to move home she knew she couldn’t leave this million dollar horse behind and took her back to the US! Crazy right! As her family grew and kids deemed uninterested in horses, she new Claire would be the perfect girl for Zippy to love on for the rest of her life. I LOVED getting to capture the relationship between Claire + Zippy, they were a laid back paid and worked together so well! Also major shoutout to Claire’s little sister for being my distraction assistant!